This site is especially dedicated to the memory of my fraternity brother and pledge brother, PFC John Dudley Frazier, USMC. On May 15, 1968, he paid the ultimate price and died as a result of enemy fire in the Thua Thien Province of the Republic of South Vietnam. At the time of John's death, I had a pretty cush job working as the Admiral's office orderly at the Naval Training Center, San Diego. I shared an office with Master Chief Ed Pellam who, as it turned out, had a friend in the Bureau of Personnel. Deciding that I wanted to try to avenge John's death, I persuaded the Admiral (RAdm. Allen Bergner) and the Master Chief to pull some strings and get me assigned to River Boats. I had to change my rate to Gunners Mate, but that was okay with me if I could get into the action. I think both the Admiral and the Chief were proud of me. 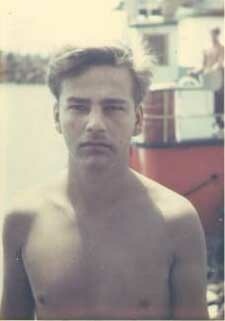 Having grown up on a steady diet of WWII John Wayne movies, it seemed the natural thing to do. I don't know if I was able to avenge John's death by going, but I know I'll always share a kinship with him and others who served in that war. I love and respect you, John Frazier, and I know that I am a better person for having known you. John is buried in Rose Hill Cemetery in Oklahoma City, Oklahoma. 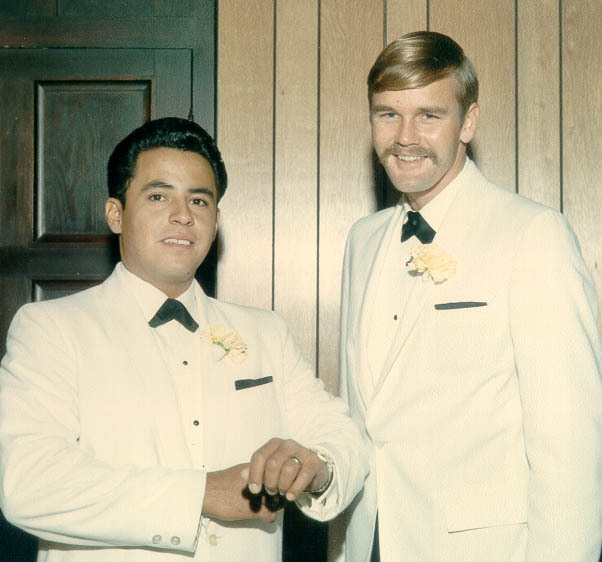 This site is also dedicated to George Sanchez, my former Boat Captain on A-111-3, my best man at my wedding (pictured below on February 21, 1970, 10 days after arriving home from Vietnam), and a good friend who passed away in 2002 as a result of prostate cancer, likely the result of exposure to Agent Orange. George had such a great sense of humor. We joked and made life more bearable for each other during the long days of our stay in Vietnam. I'll never forget you George. Thanks so much to Donut Dollie Emily Strange for helping me find this memorial information posted at the Virtual Wall.org web site by his loving mother, Janice Dahlke. I have had the chance to visit with Janice at several MRFA reunions since meeting her at the first one in 2007. Janice is a super Gold Star mother and it is a pleasure knowing her. Thanks Emily for bringing Janice to the reunions!! 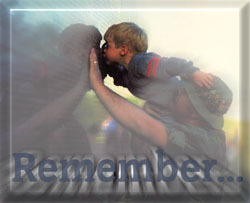 This site is also dedicated to the memory of all who died in Vietnam, and to those who served and managed to come back to a not so friendly world. 'Welcome home' to those who managed to never hear those appreciative words upon their return to civilization. 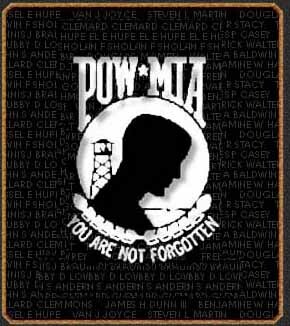 And finally to any POW/MIA our country left behind and for which it shamelessly did not account or rescue. Copyright 1999-2014 by Don Blankenship. You may use the images, descriptions, stories or text within this site, with proper credit, for non-commercial, not-for-profit purposes only. In the event you wish to use any material contained within this site for commercial, for-profit purposes, permission must be obtained from the author, Don Blankenship, in advance of such use. All rights reserved. Click email if you have comments. Thanks for your interest in learning about the Mobile Riverine Force.